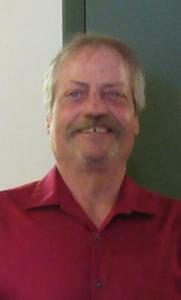 Lawrence James Musser, 58, of Williamsburg died Wednesday, April 10, 2019. He was born on June 2, 1960 in Bellaire the son of Raymond and Priscilla (Olds) Musser. Larry was employed as a Mechanic in the automotive and oil fields. He loved hunting, fishing and hunting for mushroom. He enjoyed putting together model cars, boats and ships. His most favorite thing to do was spend time with his family. Larry is survived by his significant other and former wife, Susan Musser; children, Marguerite Musser, Katelyn Dunham and Joshua Musser; grandchildren, Izabelle White, Lillian White, Alexander White, Atara Dunham, Elliot Musser and Kairi Dunham; parents, Raymond and Prischilla Musser; brothers, David Musser, Brian Musser and Jeff Musser. A memorial service will be held 11 am, Saturday May 4, 2019 at the First Church of the Nazarene off of 14th Street. The family will greet friends starting at 10 am. Memoruial Contributions may be made to his daughter, Katelyn Dunham to help with expenses at 4265 N. Broomhead Rd. Williamsburg, Michigan 49690. Please visit www.lifestorytc.com to sign the guestbook and share your thoughts and memories with the family. The family chose Life Story Funeral Home, Traverse City.